MSAS-SF, Memorial Symptom Assessment Scale–Short Form. POS, Palliative Care Outcome Scale. ↵a 25 where each scale is transformed to 0 to 100. 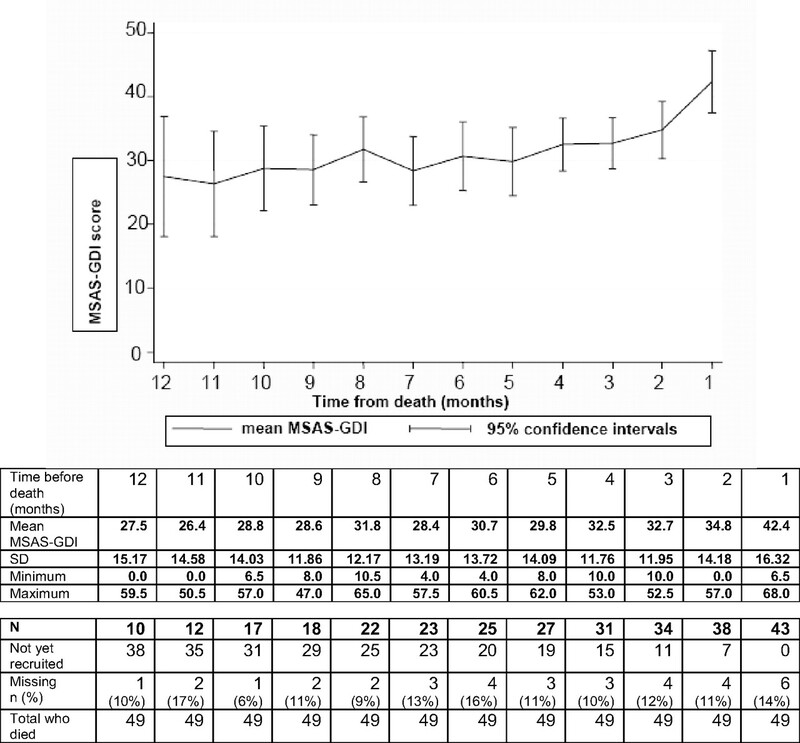 MSAS-GDI, Memorial Symptom Assessment Scale–Global Distress Index; POS, Palliative Care Outcome Scale.